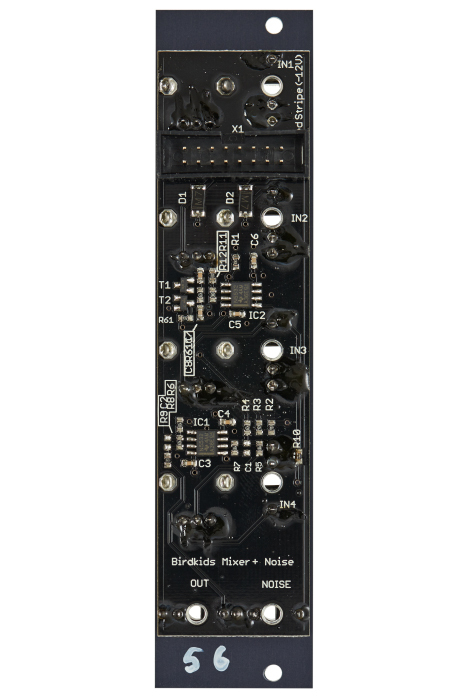 The birdkirds Mixer/Noise module is a compact 4 channel mixer in combination with a transistor based noise source. 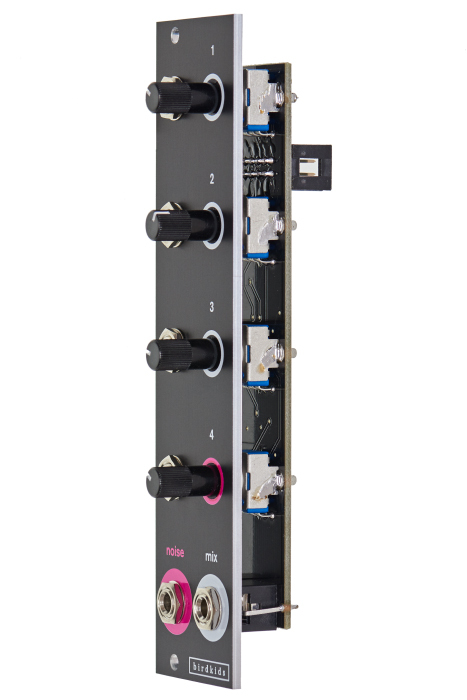 This mixer has four inputs. 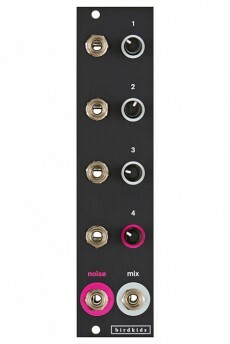 If input 4 is not patched, the signal of the internal noise generator is applied to this channel, which is completely analog with transistor technology. The noise signal can also be tapped separately at its own output, for example to use it with a Sample & Hold module or to pass it to a filter other than the mixer channels.